Acclaimed singer-songwriter John Prine recently released his first album of original songs in 13 years entitled The Tree of Forgiveness. Today, Prine shared the official music video for his new song, “Knockin’ On Your Screen Door,” featuring special guests Dan Auerbach of the Black Keys, Dave Cobb, Elizabeth Cook, David Ferguson, Margo Price, Jason Isbell, Jeremy Ivey, Margo Price, Amanda Shires, Sturgill Simpson and more. The music video, directed by photographer David McClister, was filmed at some of Prine’s favorite places throughout Nashville including Prine visits some of his favorite Nashville landmarks, including the Ernest Tubb Record Shop, the Station Inn and Arnold’s Country Kitchen. It showcases Prine strumming along with a variety of musicians who are all smiles as they jam with a legend on acoustic instruments. The video also shows Prine eating meatloaf at Arnold’s Country Kitchen and playing pool all sporting an infectious grin on his face. You can’t help but smile along. Even the song is infectious; it is hard not to nod your head and sing along. With lyrics like, “I can see your back porch if I close my eyes now / I can hear the train tracks through the laundry on the line / I’m thinking it’s your business, but you don’t got to answer / I’m knocking on your screen door in the summertime.” There is a feeling of home throughout the video, as each young generation of artists plays with Prine. It is not something you get to see that very often. To add to Prine’s year, he is nominated once again for “Artist of the Year” at the 2018 Americana Music Association Honors & Awards. 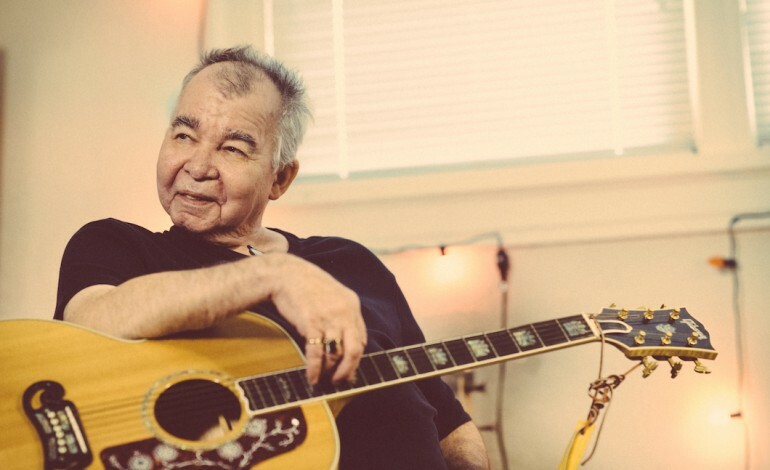 With the impressive and spanning career that John Prine has had, it is no surprise. He is a two-time Grammy-winner, Prine has been sharing music to the world for over 50 years. He is praised by some of music’s greatest from Bob Dylan, Kris Kristofferson, Bonnie Raitt, Roger Waters, Tom Petty and Bruce Springsteen to name a few. He is a Nashville Songwriters Hall of Fame Member and whose debut album, just called John Prine, is recognized as part of the Recording Academy’s Grammy Hall of Fame. His songs have been recorded by Johnny Cash, Carly Simon, Bette Midler, Bonnie Raitt, Norah Jones, George Strait, Miranda Lambert, Zac Brown Band and many others. Watch “Knockin On Your Screen Door” down below.